Saltash.net community school has launched its new ‘How to talk to your child about…’ initiative, working with local youth groups and the Police to raise awareness about certain issues facing young people in the local community. In response to the Safer Saltash Initiative and the key objectives for the Town, we want to raise awareness of drugs and empower parents to support their children. Led by Rich and Jodie from YZUP, the session challenged misconceptions around drugs and gave parents top tips of what to look out for if they are concerned about drug use. Parents were also advised on what to say to their child if they came across drugs within the community, or what steps to take in the case of an emergency situation. We have had some great feedback from parents about the session. There will be two follow up sessions, which the whole school will be attending. 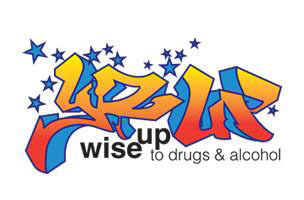 YZUP will be delivering workshops on 27th November and Devon and Cornwall Police will deliver sessions on 3rd December. We also hope to run a further YZUP session for parents in the future. This was the first in a series of sessions to support parents. Our next will be around the subject of mental health but with the same format ‘How to talk to your child about….’. Further details will follow soon, but if you would like any more information on this, or to make suggestions for session you might like added to the programme, please contact Mr Oakes (moakes@saltashcloud.net).